"Reading “Zuri” is like listening to Eric B. & Rakim at a traffic light, during the summer, and forgetting to go. It’s like laughing to keep from crying the Blues ‘cause ‘aint no sunshine when she’s gone. It’s like grooving to a bass, a piano, and the vocals of a cornrowed siren." ZURI takes us on a trip through the poetic world of Van G. Garrett, as he explores traveling, coming of age, appreciating music, and falling in love in this diverse collection. ​*This collection was previously published as a chapbook, but is now available as a full-length book. Van G. Garrett explores moments in the life of bluesman Elmore "Hog" Garrett, the imagined godson of the legendary bluesman Slim Harpo. With poems that breathe life into this Southern story, Van G. Garrett's exploration into the fictionalized Elmore Garrett is both arresting and engaging, a worthy salute to one of America's authentic art forms. The brilliant, and perfect courage of this collection of poems is that they turn away from nothing, and come from deep beneath the raw, gritty, sexual essence of what for me is the blues. Brightly painted word images punctuated like a smoking guitar solo with all the gyrating heat and classic, bygone simplicity of those who have come before. You are pulled into winged dreams through the eyes of a bluesman, and then awakened with a shock, like biting your tongue hard, and tasting fresh blood in your mouth. Loudly, here is life, here is love, here is pain, here is the blues, babies. Van Garrett's Hog meets the blues where it lives, sliding the reader along a guitar neck into juke joint cadences signified even in the poems' titles: 'Pig-headed and Crazy,' 'Sardines and Milk,' 'Fingers and Pain.' Just as in the best blues songs, the flash of a line thrusts us into the love and the lust and the mud and the blood, the struggles and loves and losses and pride in a bluesman's life that constitute his art as much as his songs themselves. This is the world of Lightnin' and Muddy, Blind Lemon and the Wolf. The poems here sketch the biography of Slim Harpo's imagined godson Hog, but more than that, they echo and extend the long poetic life of the blues form, a lyric value Langston sensed long ago and Van Garrett keeps vibrant in these pages. In LENNOX IN TWELVE, award-winning poet Van G. Garrett explores moments, both large and small, in the life of heavyweight champion boxer Lennox Lewis. Using an effortless style to peel back the layers to one of the twentieth century's best athletes, Garrett packs a powerful punch with his words, one worthy of his subject. But one can slip on a canvas. 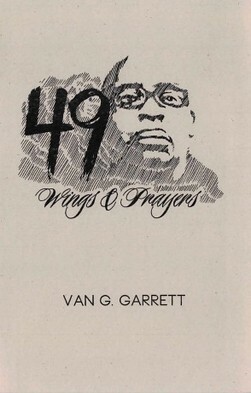 Van Garrett is a capable writer, artist, and boxing supporter. I've appreciated his detailed work over the years. DESCRIPTION: Kwansaba: a non-rhyming poetry form based on Kwanzaa (the African American holiday that celebrates seven principles): seven lines, seven words per line, with no word other than proper nouns containing more than seven letters. In the case of Van Garrett’s new collection, running the gamut from juke joints, haircuts, and being shot; to a series of homages to Jayne Cortez. The Iron Legs in the Trees is a narrative of how slaves who were once caged by the Danes became cannibals after overthrowing King Archibald in 1876. The sea dwellers (Aphzebo) and land dwellers (Terazebo) worked closely to take their independence; however, the conquered castle becomes too crowded for the boors. The land dwellers launch a war against the unsuspecting sea dwellers, sending them running for the shelter of the Wootoosi trees on Zaco Island, where they roost. Battles transpire. Blood is spilled. And those who dwell in trees seek to maintain their dominance, feasting on their enemies, one morsel of flesh at a time. You just don’t fool around too much with the topic of slavery.Garrett’s proving himself a fearless creator immediately, and the world just might want to take notice. Internationally recognized poet Van G. Garrett sharpens his narrative chops in his fiction debut, The Iron Legs in the Trees (Seaburn Books, 2013). Having widely published poems about music and relationships, Garrett pushes the envelope in a horror / fantasy novella about slaves turned cannibals who devour slave owners and those who aid the bloodthirsty clan in obtaining freedom. Poetically gruesome, The Iron Legs in the Trees is ideal for middle school through adult readers. It is a narrative that chronicles cannibals who live on land and water, who thrive, war, and love, in ways that make readers reconsider walking under trees and swimming in places that seem like ideal island resorts. The Iron Legs in the Trees is available at Barnes & Nobel.com, Amazon.com, your local bookstore, and wherever books are sold. Please visit: www.vanggarrettpoet.com for more information. ZURI: Love Songs is artist and writer Van G. Garrett’s most personal and risk-taking collection of poems to date. The introspective poems that chronicle Garrett’s travels around the world, his celebrity friendships, his musical influences, and his love interests, are sincere and thoughtful. A continuum of his debut collection Songs in Blue Negritude, ZURI offers profound insight into a complex poet with the precise voice that award-winning author A. 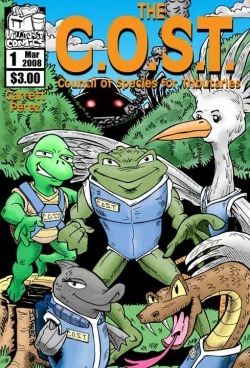 Van Jordan penned: Will save poetry from extinction. Van G. Garrett’s ZURI is all shades of gray and nuance, all reminiscence and longing. These lines sing with the confidence of a man approaching a lover at midnight. Call it a soundtrack: music and memory driving the revelations that unfold from line to line. This slender book engages the reader. These poems take you somewhere you didn’t realize you needed and wanted to go. Garrett's first book of poems attempts to extend the tradition of the Negritude movement, but displays a sense of style uniquely his own. Utilizing a number of poetic forms, Garrett pays homage to his heroes and elders while showing his abiding love for hip-hop, injecting a sense of play into many of his poems. Garrett's poetry has been featured regularly in the media, including HBO's THE WIRE, IFC, and at the Indie Black Film Festival. Within the muscularity of Garrett’s language, his desire to pay homage to his heroes and elders, and his experiments with form, a new voice emerges. What we find is a voice that will save poetry from extinction. In a world in which people purport to not read poetry because they cannot connect to it, here’s a language that can be understood without losing the lyricism that’s so hard earned among the initiated. As he continues to exhort in his “james brown kwansaba,” his poems call for us to continue “seeing life in fast-paced musical scales/ that make people want to shuffle on/ decks with sweat dropped on the up-beats.” Let’s read on but let’s not forget to dance. Some play the dozens, some play the sevens. Van G. Garrett navigates the urban landscape with poems that sound like jazz riffs dancing on paper. Van's horn is filled with the kwansabas, last heard coming from the big band directed by Eugene Redmond. 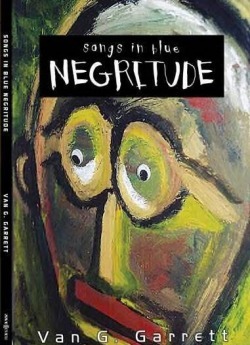 Many of the poems in Songs in Blue Negritude are short and compact. Easy luggage for the poetry lover on the move. In Songs in Blue Negritude, Van G. Garrett spins tales of curses and jazz, of Rosa Parks and subways in his own language: a vernacular paying homage to our poetic elders but fertilized by hip hop culture. Jayne Cortez, Mos Def, Lorenzo Thomas, and Jay Wright are all musically invoked in these poems and through Garrett’s stereophonics of language and image, they coexist gracefully. These poems are challenges and concordance. These poems announce that Garrett has listened and is ready to rumble. Van G. Garrett has established himself as a strong new voice rooted in the soul of the South. His poems sing like a smooth and sensual breeze blowing "a song a soul a something worth crying about." Sometimes jubilant, sometimes blue, always honest.